This time of year really is perfect for hog roasting. The cold weather means that a Hog Roast Stirling hog roast roll is the perfect thing to warm you up and we always find that we have a surge in bookings around this time of year for people wanting just that! It was for this reason that Ellie decided to contact us. She was the owner of a small catering business and found she needed a way to provide outside catering in the colder months and was looking for a machine that could allow her to do just that. That was were Hog Roast Stirling came in! 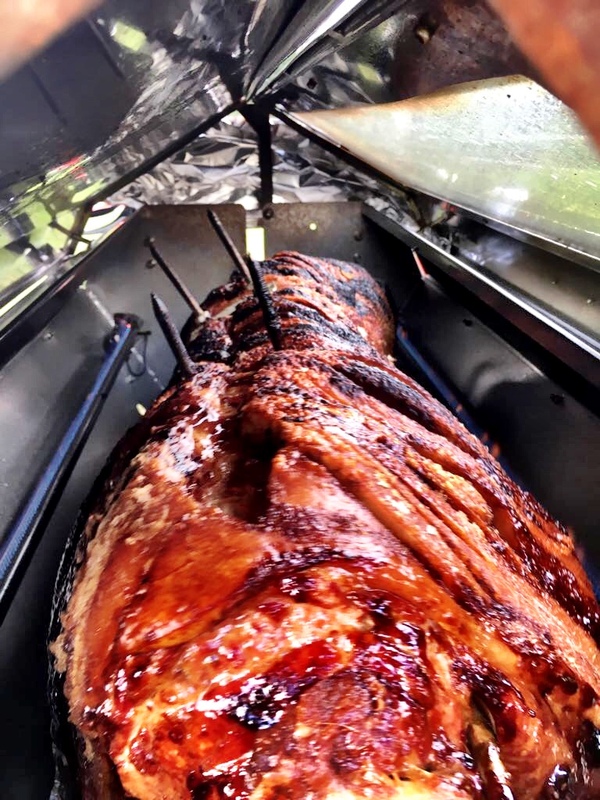 Not only do we provide catering around the country we also hire out and sell our trusty machines to the public so that everyone can try their hand at cooking a hog roast. We invited Ellie to our factory in the north west to get a better look at the machines we have for sale and so that she could talk to our engineers who build the machines to find one perfect for her needs. As a caterer Ellie needed a more industrial scale machine capable of cooking a hog for large groups of people. We recommend the Titan in this case as it is a large machine yet still fully portable and easy to manoeuvre both indoors and out. Ellie was pleased with this recommendation and put an order in there and then for the machine to be delivered to her business. She was eager to start taking bookings and preparing her first Hog Roast Stirling so we also supplied her with a hog to roast and gave her a couple of recipe ideas as well as reminding her that we are only a phone call away should she have any questions. We look forward to hearing how it goes Ellie!